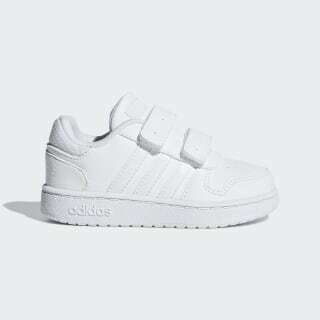 Comfortable shoes for little adventurers. For future hoopers. These infants' shoes infuse basketball DNA into a clean everyday look. 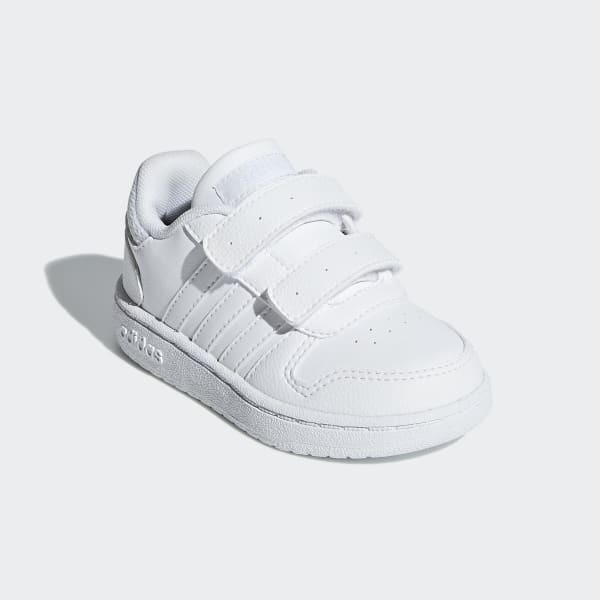 They have a leather-like upper finished with mesh details and glossy 3-Stripes on the sides. Hook-and-loop straps make them easy to slide on and off.